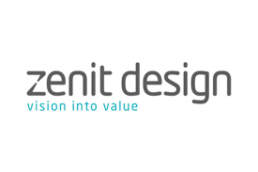 Zenit Design, a design agency that collaborate closely with you at every stage to turn your vision into value – much more than just economic value. We offer a suite of high-quality services that give you everything you need to plan, develop, produce and launch a product. Our holistic approach means we can work smarter, and harness the full potential of our extensive expertise in both design and engineering.